Based upon the bestselling autobiography, American Sniper chronicles the life and incredible career of the deadliest sniper in American history, Chris Kyle. The film begins with young Chris's father teaching him how to hunt. From that early age, Chris is taught to respect the weapon and to always look out for others in need. An early flashback shows young Chris putting these lessons into practice. He intervenes in a fight between his brother and a bully, earning punishment from the school, respect from his father, and sealing the hero complex that would shape the rest of his life. After witnessing the 9/l1 terrorist attacks via his television, Chris, now an adult, immediately enlists in the Navy and begins training to become one of the branch's elite warriors. As a member of the Navy Seals, he is summoned to the field as a sniper. Kyle's mission is to cover areas as other branches of the military complete ground operations. As the film progresses, we witness Chris excelling at his job, racking up a kill rate that earns him the nickname "Legend". Director Clint Eastwood does a nice job of mixing the tense action sequences with personal glimpses into Kyle's psyche, especially when he returns home. 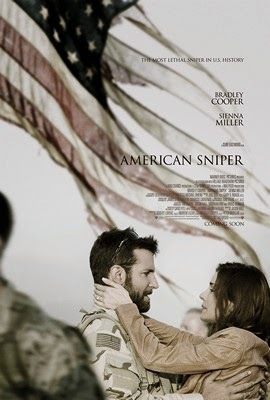 Bradley Cooper as Chris, and Sienna Miller as his wife show us the raw emotional toll that war takes on both their individual emotions as well as their marriage. In hindsight, a few of the stateside scenes may be overtly cliche, but in the context of the film and the many intense war scenes, these moments are necessary in creating a balanced view of the war. Since it's release, there has been much debate about this film. Having read the book upon which this movie is based, I can attest that real life Chris Kyle was much more matter of fact about his actions than Cooper's film version. In the book, Kyle does not seem to be conflicted by the amount of people he kills. It is impossible, of course, to know what was really going on inside the man's head, and I feel that I have no right to comment on his actions. It is worth noting, however, that the film humanizes Kyle in a way that never really happens in the book. As such, the emotional payoff of the movie is extremely high as the credits roll. In the end, the biggest take away from both the book and movie seems to be that war is a big, ugly, complicated mess. Regardless of our individual political or even moral views, our country has asked men and women to leave the comforts of their lives to protect the comforts of our own. American Sniper, is a flawed but important reminder of the sacrifice and heroism of our military. For over twenty years, the Alex Cross series has been the flagship of author James Patterson's prolific output. While the bestselling author notoriously employs co-authors to aid in his writing, Alex Cross remains one of the only series to be credited entirely to Patterson himself. As such, the Alex Cross series has always seemed to maintain the thoughtful mysteries, thrilling pace, and honest characters that gained Patterson the acclaim and notoriety that he enjoys today. True to form, Cross My Heart delivers all of these elements, proving that Patterson is still at the top of his game. Thierry Mulch is a scorned man looking for revenge. As a college psychology professor he studied and wrote a book about a spree of unsolved murders committed by, as he claims, the perfect criminal. His writing on this super criminal captured the imaginations of countless readers, leading to many speaking engagements and book signings. Despite the almost universal praise, Mulch finds himself obsessed with his biggest critic. . . DC Metro Police Detective Alex Cross. Things seem to be going well for the Cross family. Alex and his wife Bree are busy working on two separate murder cases, all three of the cross children are enjoying success at school, and Nana Mama the family matriarch is overseeing a massive kitchen renovation. Little do they know that life as they know it is about to come crashing down. One man is planning the perfect crime. One man has made it his mission to destroy the Cross family. One man want to bring Alex Cross to his knees. 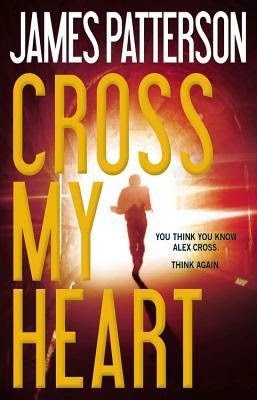 This is one of the best Alex Cross novels in recent years. This series has always stood out due to the strong writing of the family dynamic. In each novel, the reader checks in with the Cross family, and, over the course of 21 books, the Cross family has become close to the hearts of those who read about them. As always, Patterson writes with a quick pace that keeps the pages turning and the tension high. By changing Alex from the hunter to the hunted, Patterson puts a unique twist on his usual formula. This is the kind of novel that keeps readers up at night, unable to sleep until every twist of the plot has been resolved. There has been much written about the cliffhanger at the end of this novel. I have been vocal about my disdain of incomplete endings in series mysteries, especially when they seem unnecessary. That being said, I felt that this novel had a defined stopping point, while still leaving the larger story open for completion in the next installment. For fans of James Patterson and thrilling mysteries, this is an exceptional installment in a stellar series.